I recently had a chance to sit down with a dear friend and just talk about our girls. Ironically their names were Brittany. And more ironically it was a Brittany that introduced us. Coincidence – I think not. I believe Debbie and I were meant to cross paths and even more destined to become friends. I cannot tell you how therapeutic it is to be able to sit and talk about my Brittany with someone who won’t judge me, won’t feel uncomfortable around me and won’t try to change the subject. Someone who gets me. Who understands why it is so incredibly important to talk about my daughter. It is just as equally important for her to talk about her Brittany. To understand that I want to hear about her. I understand what most do not… that is Brittany is a part of her, a part of who she is and who she has become. You cannot live a life of denial just because it makes someone uncomfortable. This happened to be on the anniversary date of her daughter Brittany’s passing. I was so honored that she wanted to spend that day with me. But as a grieving mother, I understand why. Probably when no one else can or will. I have learned to release that into the universe. I cannot hold it against those who do not understand the importance of keeping my daughter’s memory alive. But spending time with people who get it – that is priceless. I was so happy to spend time with Debbie. I thought I was going to be the one who offered comfort on this anniversary date for her, but in all honesty – it was Debbie that comforted me. I was the one who was given such an amazing gift. The gift of sharing, caring and most of all, genuine love of sharing our daughter’s. I know they both are up there in heaven smiling down on us – knowing we have made that connection. That we will forever be connected by three girls named Brittany. One on earth and two in heaven. I have sat many a long night not knowing where I’d go or how I’d get there after my daughter’s death. I found God’s word to be the only truth I could find to help me see what I had to do to keep moving forward. My marching orders so to speak where very simple, finish well. While I know that this term “finish well” may sound daunting to a person who is fresh in their grief, but for those of us who are earning our way through the journey, one day at a time, “finish well” carries a very important message. One that we forget when we hit a bump in the road. When life gets turned upside down and we look all around us and cannot find our way. What does finish well look like? John Terveen said it very well in his book “Hope for the Brokenhearted”. In chapter 12 he reminds us of Paul’s journey and encourages us to finish the race as he finished his. Terveen states that “whatever length our life’s course may be or however challenging the terrain, each of us is called by God’s grace to finish the race of faith, hope and love set before us. I think about this race I’m on daily and some days I get it right and other days, when the days are dark and I miss my daughter so much and I grow tired of the race; I know that if I give in, I have not finished what God has asked me to do. I have to keep my eye on God and my faith in Him to make the distance. And while I’m on this race, the race I did not sign up for, I am also given the instruction to extend love, grace, prayer and mercy to those who have joined me on this journey. I find that in the times when it is dark and I have lost my way, it is because I have let the light flicker and lost the sight of my way because I lost my faith. Without my faith, I have nothing. Without my God I would have finished far too soon and the task that I have been given unfinished. Often I have been tempted to abandon my faith because I got tired and became weary of the long journey of sorrow. Just as a runner who prepares for a marathon, you have to prepare mentally and phyically for the challenges a long marathon will have. The punishment to your body that will result. You need proper nourishment and hydration to maintain your ability to finish the race. It is the same for us on this journey in life that has dealt us a devastating blow like death of a child. We have to find our nourishment and maintain good health to finish the race. We have people to love, grievers to hug, be the hands and feet of Jesus during our race. My dearest followers – I too find times when it’s hard to see the path, to find my way – the road looks dark and the weariness of my soul speaks loudly so that I cannot hear what I know is true. God’s love never fails, it never gives up and it never runs out on me. So take great faith in God will not run out on you or given up on you or never fail you. 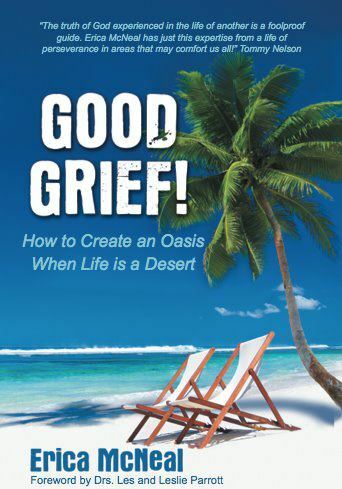 Press on…..
Great book for those who find themselves on the journey called grief. I was asked by the author to read her new book Good Grief!and write a review. I was honored to have been given such a great opportunity because many of you know I am a firm believer that those of us living through the grieving process need helpful resources. I can tell you that without a doubt, Good Grief meets all the criteria to make on my library shelf and for those of you who follow me – you know that is not an easy accomplishment. What has happened to me over the past few days has been what I can describe as a derailment of sorts. Easter threw me into an unexpected tailspin that led to me withdrawing and crying about the emptiness that still exists in my heart. Despite having love in my life, I still feel an ache deep within my heart that is beyond measure. More than five years have gone by and I find that some days I have made great strides in my grief journey. Then some days I feel like I’m back laying on floor in my house back in Michigan and thinking I’m never going to live beyond one more day. Then I snap back to reality and realize that yes I have made it this far and yes I am happy again despite my loss. But my loss is never far from my mind. It cannot ever be something I will ever get away from. Nor do I want to. I loved my daughter with every bit of my soul. She was a part of me. I grew her. She has been the best thing I have ever done in my life. I’m so proud of her and the work she did on this earth while she was here. When I focus on that too long, though, I become so sad because I long to see her again, to hear her laugh to have her say to me “mom, i love you”. I thank God today that He graced me with her for the short 17+ years she was here on this earth. I also thank God for the love in my life now. For showing me it’s possible to love – that a broken and fractured heart can have purpose again. Most of all I thank God that He has led me to know who I am and that I have been this person all along. Just didn’t see it or didn’t want to face it. Today I will love hard and I will allow love into my heart. I will live a life filled with love and life. I will smile again. I will be a better person because of it. Then I can do what I am here to do… be the extension of Jesus and love like Him.